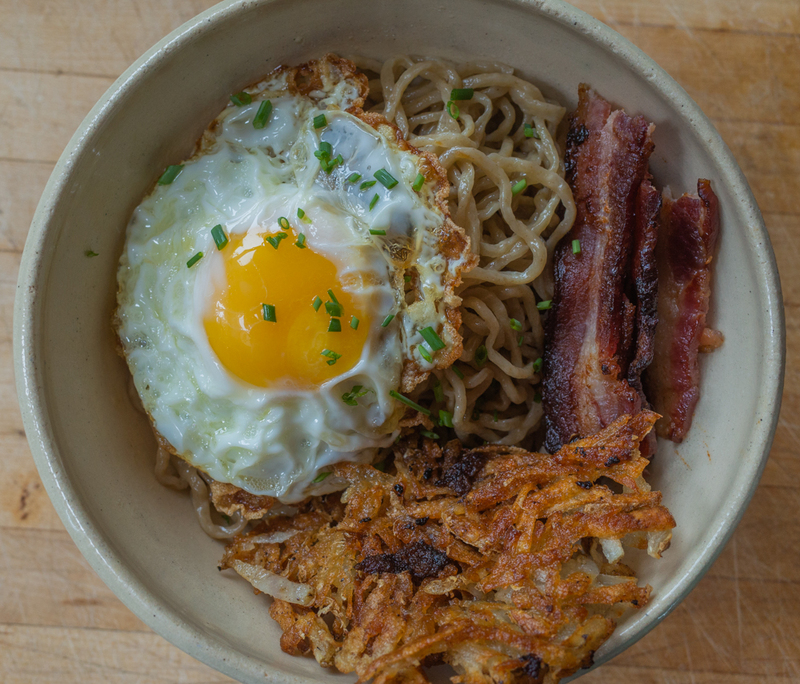 When we discovered breakfast ramen, it was a complete revelation. But of course, why not? Cooking Umi noodles is as quick and easy as boiling water and waiting two minutes. I do that every morning when I make coffee and toast bread. Thus was born the idea of Breakfast Ramen, a simple, satisfying breakfast where our noodles take the place of toast. 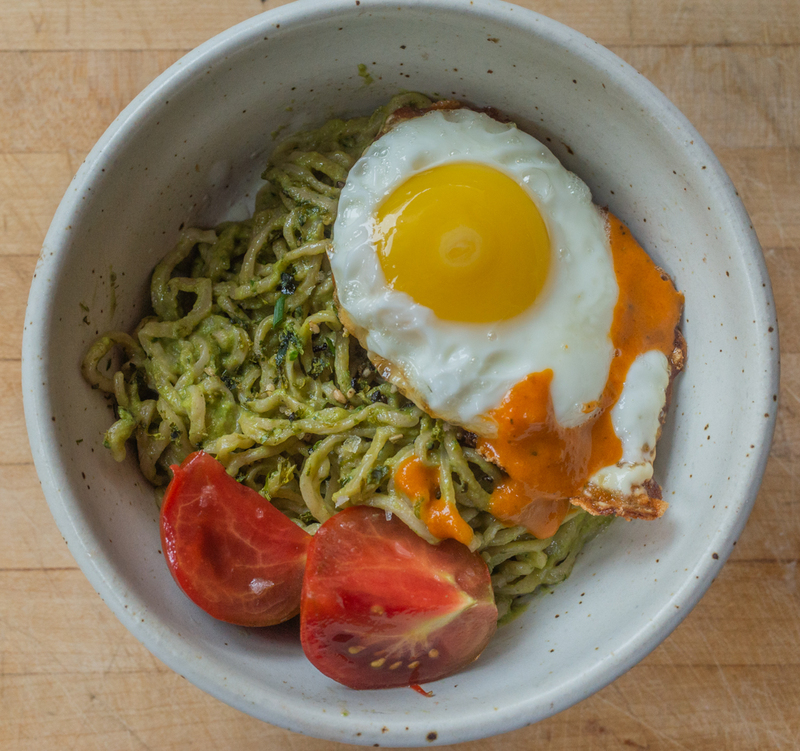 Plus Umi noodles pack a wallop of protein (14 grams), fiber (12 grams), and iron (20% of your daily value) to fuel you through your day. Don’t eat eggs? Sub some fried tofu or crunchy toasted nuts or seeds. Here is our spin on avocado toast with a creamy avocado sauce that is reminiscent of pesto, silky like alfredo, and full of all the good healthy fats and fiber that make avocado such a good start to your day. This version is more of a weekend brunch affair: Fried eggs, bacon, and homemade hash browns. The amazing thing here is how the potatoes tangle perfectly with the noodles, making a crispy foil for the chewy noodles. It's perfect. You can literally make this on a weekday as quickly as you boil coffee and toast bread. The dressing for noodles is as simple as can be, but still manages to be delicious and satisfying. Here is your no-fuss breakfast. Enjoy!